Dalumuzi is a student of Politics, Psychology and Sociology at Harvard University, who is currently on an exchange program at the University of Oxford, UK, as a recipient of a Rhodes Scholarship. 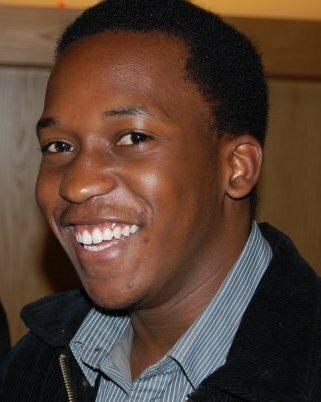 In order to achieve his ambitious goals, the young Zimbabwean started an organization, called Lead Us Today and providing leadership and entrepreneurship training, during the summer after his freshman year at Harvard. He worked with a small team of young people to create a curriculum and started with only 64 students, but by the end of the summer they already had 200 people enrolled. Thus far, the organization has trained over 300 students from eight high schools in Bulawayo, Zimbabwe. In each school, his organization created community learning centers, which are spaces that bring together community members to tackle key issues facing their communities. These centers have mobilized more than 400 community members, who are guided and assisted by the trained students, to design and implement over 20 community development projects. These include creating “fruit and vegetable gardens benefiting HIV/AIDS patients with nutritional needs and sanitation campaigns orchestrated in partnership with corporations that have provided rubbish bins.” Through its projects, it has reached over 1,200 people. His original inspiration for starting his organization started from his personal experience in high-school. While most of his peers came from more privileged backgrounds than him, Dalumuzi struggled with feelings of loneliness and insecurity, as he kept trying to define himself in terms of material possessions. He eventually decided that he would define himself not in terms of what he owned, but in terms of what he contributed to his society and to the world. This freed his of all his insecurities and gave him strength to dream bigger and bigger dreams. As a result of this personal experience, he subsequently decided that he also wanted to empower other young people to view their agency and their responsibility to make a difference in their community. Dalumuzi strongly believes that only when young people realize that they have the power to shape a democratic society, will progress be achieved on the African continent. At Harvard, apart from running his own organization, he was very actively involved on campus. He served as the Director of the Leadership Institute as well as the Vice-President of the Youth Alliance for Leadership and Development in Africa. He was also the Student Representative to the Harvard Faculty Committee on Public Service, providing guidance on student voluntary projects to college officials. He also hopes to one day be involved in playing a role in formulating public policy on education in Zimbabwe.